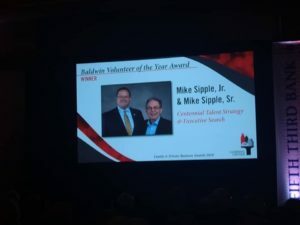 Mike Sipple Jr. and Mike Sipple Sr. Also Honored as "Volunteers of the Year"
Centennial Inc. is proud to be named the winner of the 19th Annual 2018 Goering Center Family & Private Business Award. 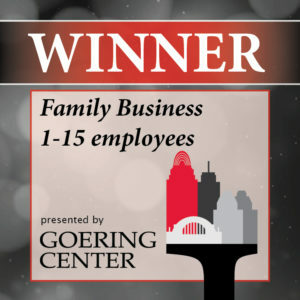 Northern Kentucky – Cincinnati, Ohio September 13, 2018 – Centennial Talent Strategy and Executive Search is the recipient of the 2018 Goering Center Family & Private Business Award for Family Businesses with 1-15 employees. The annual honor is bestowed upon only one company each year and exemplifies what family business is and should be. The criteria for this year’s award focused on a business breakthrough that set a business on a new trajectory; an approach to leadership and employee development that showed an organization’s commitment to the personal growth of their people; examples of shaping a culture for performance, inclusion, and engagement; community development; or job growth and investment. Since 1975, Centennial has connected business leaders with the best talent and resources to improve their businesses, careers and personal lives. 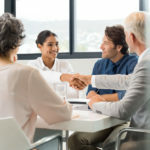 Centennial partners with organizations that are experiencing change and growth to help them hire the best executive leadership, yielding healthier organizations. In their award application, Centennial cited the launch of its new sister organization, Talent Magnet Institute TM, and its weekly podcast, as a breakthrough that has set their business on a new trajectory. 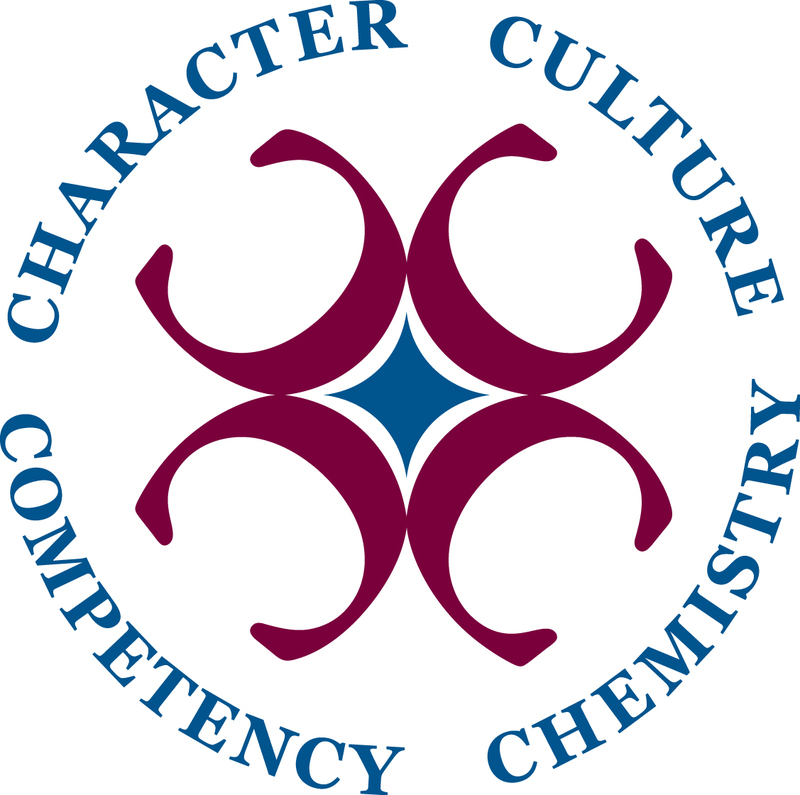 Centennial leadership developed the concept of The Talent Magnet Institute for more than a decade in response to their clients’ ongoing needs for talent-based resources, strategies, and solutions. 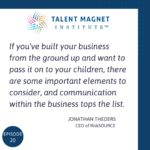 The Talent Magnet Institute and its podcast were launched this year. The podcast, with a focus on inspirational leadership stories, has nearly 5000 downloads, with listeners in 34 different countries. The Institute offers educational opportunities, faculty, and consultants who offer best-of-class people practices to help organizations achieve their next level of success. 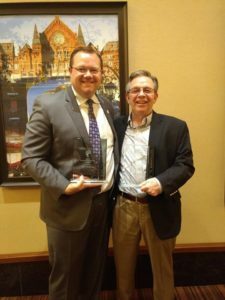 “We are honored to be among the great organizations honored as a Family Business of the Year by the Goering Center. This award means so much to our team and we are humbled to be selected. 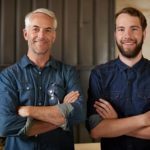 We are committed to doing our part to lead a vibrant family business and are so glad we are not doing this alone. 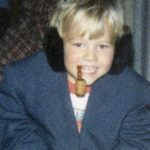 The Goering Center and the Goering community have had a profound impact on us and we strive every day to pay it forward.” Mike Sipple Jr., president of Centennial and founder of the Talent Magnet Institute™. This annual recognition program, in its nineteenth year, honors Cincinnati regional businesses that exemplify the best in family and private business practices. Each year over 500 businesses apply for these awards. Centennial, Inc. was evaluated by an independent panel of judges who reviewed applications as they relate to their positive impact on the community. Centennial, Inc. is one of an estimated 4,500 family and private businesses that operate in the Cincinnati region. 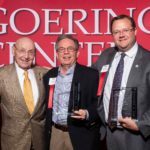 Membership in the Goering Center is not a prerequisite for the awards or for nominations. About the Goering Center for Family & Private Business – UC.edu Established in 1989, the Goering Center for Family & Private Business has become the country’s largest university based educational resource for family and private businesses. The Center’s mission is to nurture and educate family and private businesses to drive a vibrant economy. Affiliation with the University of Cincinnati and the University of Cincinnati’s Carl H. Lindner College of Business enables access to a vast resource of business programing and expertise. The Goering Center provides its membership real-world insights with the goal to enlighten, strengthen and prolong family business success. For more information on the Center, participation and membership visit UC.edu. The Man Behind The “Mike” with Christine Lewis and Mike Sipple Jr.